Chadwick Boseman says his sister Shuri is the "most important character" in Black Panther (2018). Boseman sat down with CNET to talk about his role in the upcoming superhero movie as T'Chaka aka Black Panther. 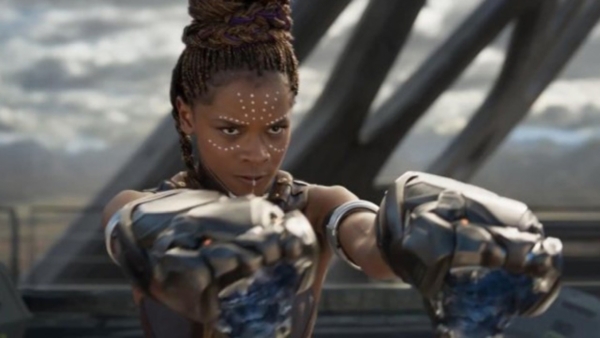 There are a number of strong women in the movie including Shuri portrayed by Letitia Wright. "Her role is the most important." Boseman told CNET. "In the comic book, T'Challa is a scientist and a king, but my sister is the whiz kid. She is the one with that gift. She's the Tony Stark of Wakanda. She's witty, she's cool, she's funny. Now, T'Challa is good in science too, but she's the whiz. That's the way the story's been told forever. T'Challa is technologically sound. He's a scientist as well, but she's the minister of technology." Played by Robert Downey Jr. Tony Stark aka Iron Man is the current snarky master of technology in the Marvel Cinematic Universe. Not only does he have his own tech company, Stark Enterprises, he also designs all the technology used by the Avengers and created a suit for Spider-Man. Most of Wakanda's tech and weapons are created by Shuri, including the new nano-tech suit that T’Challa wears. "If anyone doesn't think there's a place for women in tech," Boseman argued, "it's completely demolished in this movie." Currently women in tech face sexism, harassment and a tremendous gender wage gap. So, while 74 percent of young girls express interest in STEM fields and computer science they hold only 25 percent of computing jobs. It's a real problem. But it's worse for women of color. According to a study published in the Journal of Geophysical Research: Planets by the American Geophysical Union women of color in astronomy and planetary science face more gender and race related hostile environments. 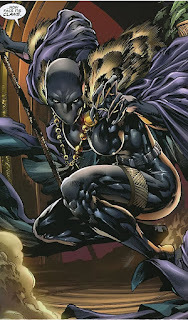 Shuri was created by Ben Dunn in 2002 for Marvel Manaverse #2. She was brought into mainstream continuity by writer Reginald Hudlin and artist John Romita, Jr., in Black Panther #2 (2005). Shuri is T'Chaka's youngest child and younger half-sister of T'Challa. She's the only biological child of T'Chaka's second wife, Ramonda played by Angela Bassett. Wright hopes Shuri will inspire other women and girls. 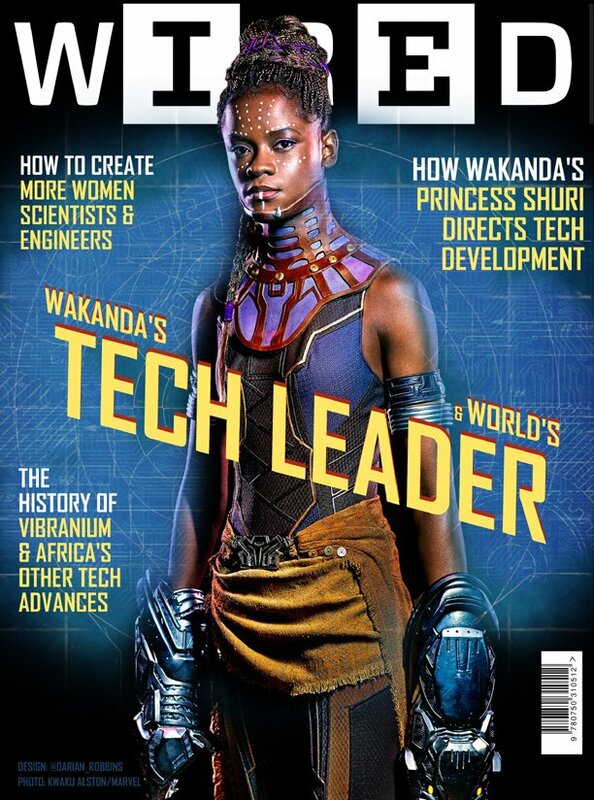 "She’s princess of Wakanda, but also she designs all of the new technology there," Wright told Interview Magazine. "She has an innovative spirit and an innovative mind, and she wants to take Wakanda to a new place. Also, she has a great fashion sense, better than mine. She’s so vibrant; a beautiful spirit, but also so focused on what she does. And that’s good for other people to see, especially young people to see, because it’s like, 'Look, there’s a young black girl who loves technology and she’s from Africa.' It’s something refreshing." Marvel is trying to get involved in spreading the word on the place for women in the tech industry. For Thor: Ragnarok Marvel Studios encouraged young girls to explore the superpower of STEM (Science, Technology, Engineering, and Math) with Marvel Studios' "Thor: Ragnarok Superpower of Stem Challenge". Boseman reflected on how the Black Panther movie is breaking sterotypes all across the board. Not just for people of color but women as well. "It's just this tremendous opportunity, not just for me but for all of us really to get out of our boxes," Boseman added. "It's not just black people getting out of their boxes. Everybody is excited about the opportunity to do something that we should have already done. People are excited about seeing new stuff, but I think they're extra excited about seeing stuff they should have seen already." Marvel is doing something special next year and we can't wait. Letitia Wright will reprise her role along with Chadwick Boseman in Avengers: Infinity War. If you're looking to support minority women in STEM then read Popular Science's excellent article 5 Ways To Support Minority STEM Students. 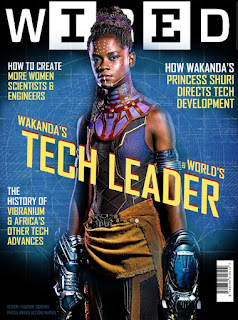 For a glimpse into the future, check out this Wired magazine cover featuring Shuri created by Darian Robbins. Check back for all the Black Panther movie news and hype on The Geek Twins! 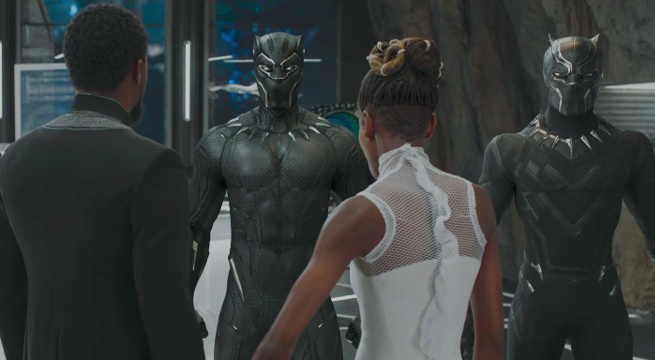 What do you think of Shuri's character in Black Panther? Are you looking forward to seeing the Wakandan Tony Stark? In other words, brother and sister are a dangerous combination.